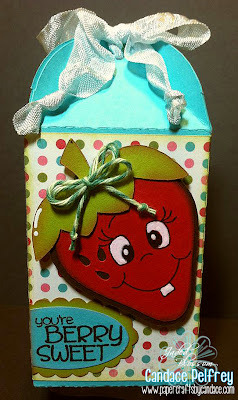 I created this project for Peachy Keen's 3D Objects: Box it Up challenge! Sentiment: Jaded Blossom "Feeling Fruity"
Face: Peachy Keen "The Cornies"
Crinkle Ribbon: 3 Girl Jam "Sterling"
This is "berry" sweet!! Love the peachy face!!! This is the cutest! Just love the face. So Adorable. Love that Peachy Face too. very cute! I love the twine on the stem! This looks so well made- Well done! 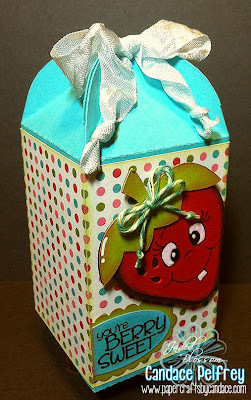 Thanks for playing along at Peachy Keen's Box it Up Challenge this week. So berry-licious! love the cuteness of the face..